Two years ago, in January 2017, I registered to attend a two-day Raspberry Pi/Python workshop delivered by an NGO called International Education Association, IEA for short. Little did I know that I was signing up for a journey that would change me forever. I joined a group of 16 other university students in a Training of Trainers session, then we were dispersed in 5 different locations ranging from Tripoli to Saida. 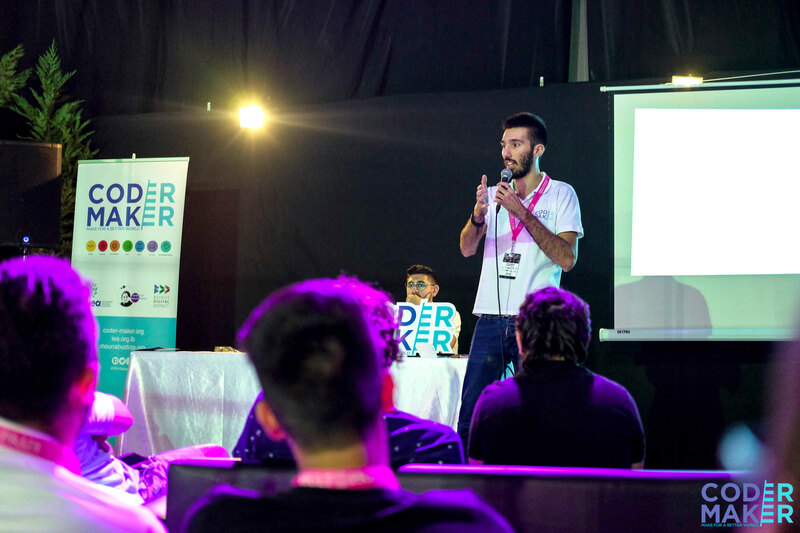 We supported in training public schools’ students and teachers as part of the Coder Maker Program, a volunteering program created by IEA and the Mouna Bustros Foundation (MBF). The program ended by April with the Annual Raspberry Pi Competition. I was assigned to the Zahle center. During the first session, there was this kid that was having a hard time grasping what seemed to me like a simple concept: blinking a LED light. His team had already moved to the next activity while he was stuck on the previous one. So, we sat down and ran through the code line by line, exploring what each command did. Keep in mind that this only took 10 minutes. I will never forget the moment where the kid looked at me by the time we reached the end of the code. I saw a light in his eyes, like he just understood the meaning of life. And best of all: I did that! I still remember that moment like it was yesterday, the light from his eyes lit a fire within me: I had the ability to positively impact people’s lives. That was it, I was hooked. Fast forward to October 2017, I found myself knocking on IEA’s door to attend a meeting in which the Country Coordinator of the Coder Maker Program role was created, and I was the first to hold it. What an honor! In a mere instant, I was responsible for growing the volunteering program, recruitment, communicating with outside entities (partners, schools, universities…) and the list kept on growing. This is where things started to get interesting, and here’s why. See 2017 Emilio was in his third year studying Computer and Communication Engineering at NDU. Emilio was an Average guy: average grades, average discipline, and average ambition. And for some reason, IEA decided to hand over to him a key role that could drastically affect the whole project’s direction which has been 18 years in the making. Emilio wasn’t going let them down. He knew things needed to change. HE needed to change. During the following 18 months, I organized one recruitment event, multiple working sessions, and workshops, sat down with university chairs and professors to form new partnerships, created a coordination team that I had to lead, all of which I had to do in parallel with my university courses. I had to learn how to lead my team and our brainstorming sessions, communicate effectively with the volunteers, and work productively with different teams on different projects and to resolve conflicts whenever they arise. I also had to speak in front of crowds on many occasions and for different purposes: sometimes to motivate our own team to get to the next stage and others to pitch to total strangers what the Coder Maker Program is. As a result, I have developed leadership, communication, teamwork, conflict resolution, public speaking and time management skills. I became a more disciplined, focused and mature person. As I sit down writing this, getting ready to officially hand over a role I held near and dear to my heart for the past year and a half, I feel extremely grateful for the opportunity to have been part of the Coder Maker mission and team, to have been mentored by IEA. It is thanks to you that I am who I am now.